On March 26, 2016, an allegedly intoxicated driver rear-ended a WHIO news car, sending it tumbling, and putting the driver in the hospital. The videographer, Deangeio Byrd, had to climb out of the passenger side window to escape the vehicle and also complained of injuries. The accident occurred on I-75 South near Dryden Road. The driver was suspected to have been operating while intoxicated, and it is reported that he had not had a valid driver’s license since 1998. Both injured workers may be eligible for compensation (see legal commentary below). You may be wondering if you will be able to fully recover for your injuries if you are injured in a car accident while at work. Employers who comply with section 4123.35 of the Revised Code shall not be liable to respond in damages at common law or by statute for any injury, or occupational disease, or bodily condition, received or contracted by any employee in the course of or arising out of his employment, or for any death resulting from such injury, occupational disease, or bodily condition occurring during the period covered by such premium so paid into the state insurance fund, or during the interval the employer is a self-insuring employer, whether or not such injury, occupational disease, bodily condition, or death is compensable under this chapter. It is important to note that this above protection only applies to your employer. If you are injured at work by someone other than your employer, that person is not protected by the above statute. In my experience, this most frequently occurs in auto-related accidents: when someone is injured at work while driving a vehicle, and is struck by someone unrelated to the employer. 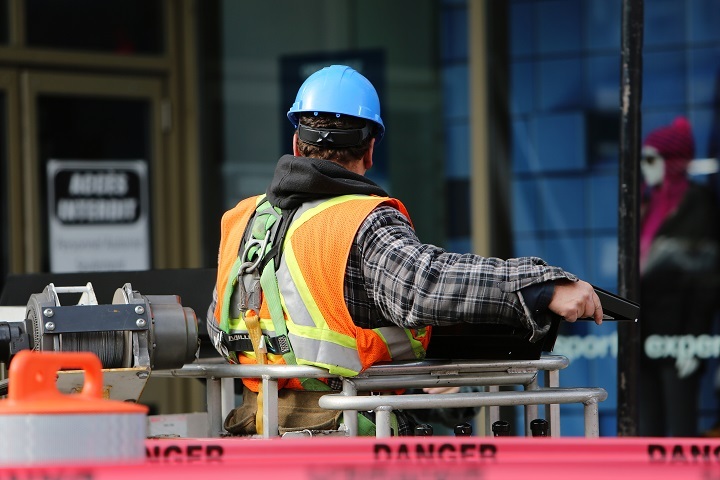 When this happens, the injured worker can not only receive workers’ compensation benefits, but also be compensated for his injuries by pursuing a personal injury case. In the above case, based on the available facts, the driver of the vehicle that struck the WHIO truck can be held liable. In this case, though, because it he was apparently unlicensed, he is also likely uninsured. If that is the case, the victims may be able to recover from uninsured motorist coverage if they have it on their automobile policies, or if their employer has it on the van. If no insurance applies, the victims would likely have no other option but to go after the driver individually. If you have a job that requires driving for work, it is recommended that you make sure you are covered by an uninsured motorist policy for situations like this. If you are injured in an auto accident while at work, you may want to consider speaking with not only a workers’ compensation attorney, but also a personal injury attorney.